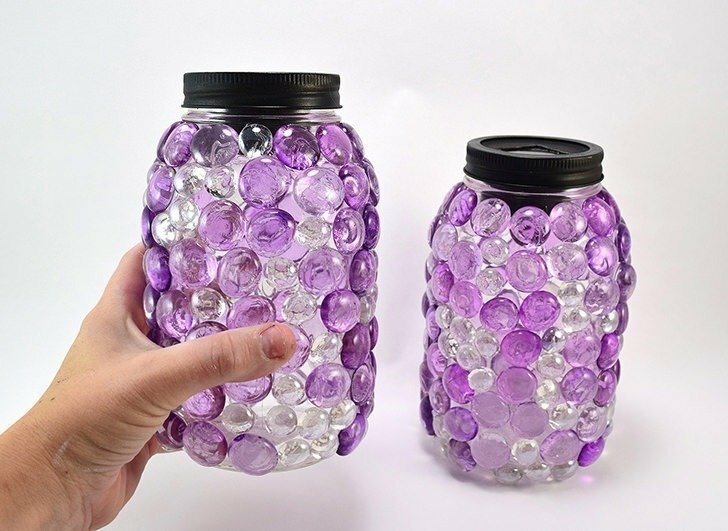 Now this isn’t the first time I’ve covered a mason jar with gems and it won’t be the last. 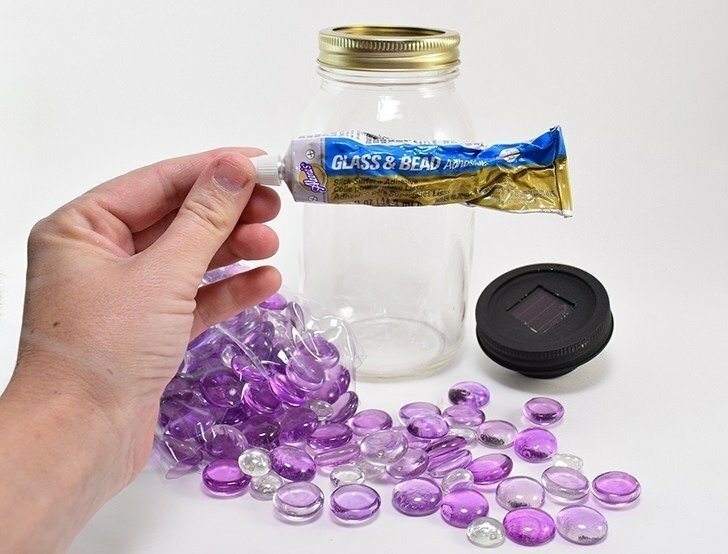 It’s such a simple but beautiful project and I’m constantly searching after the next adhesive to use to make it work out. Now the best I’ve used before this attempt was clear silicone caulk with the glass gems on glass. It worked like a dream and the stones never went anywhere despite heat or cold BUT it has a totally different look and feel to it, especially in person. This go I went with Aleene’s Bead and Glass Glue and I’m so happy with the results. Those suckers are ON there really well. If you give the glue some decent cure time before handling this baby and allowing in extreme temperatures, it seems it will do incredibly well. 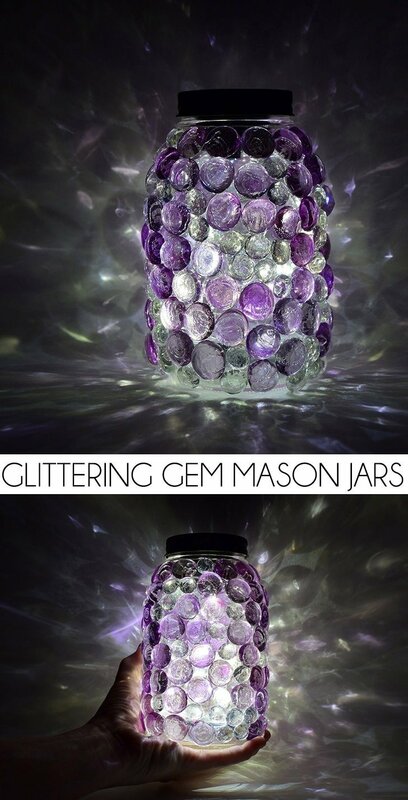 So head on over to iLoveToCreate to get the details and make your own glittering gem mason jars! p.s. – make the solar lids here for a buck apiece! Actually there’s a link to make them yourself at the end of the post. 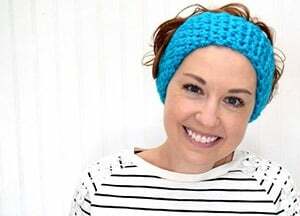 You can make them with my tutorial here. 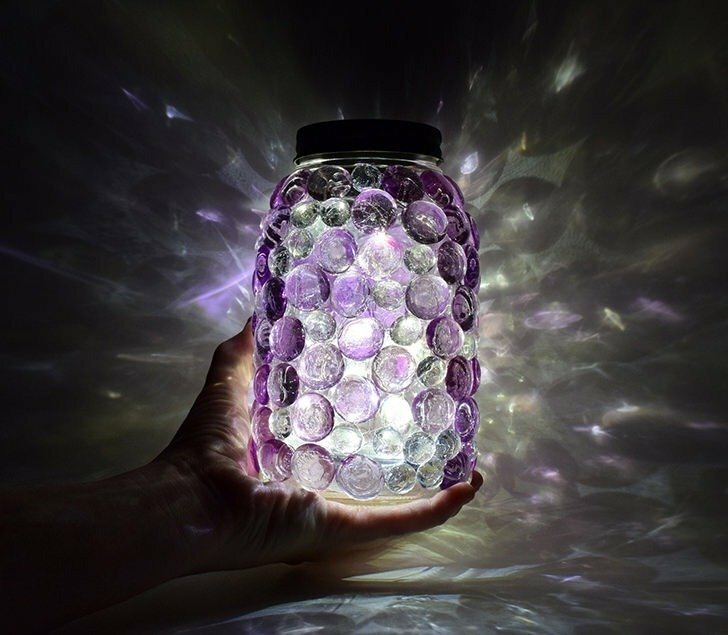 I found jars with clear lids at hobby lobby. We just glued the solar lights to them. Works perfect. We did have a little issue with the gems staying on, but we started at the bottom and them used tape for each layer.